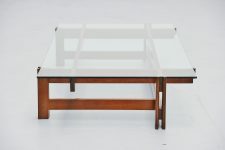 Architectural coffee table model 751 designed by Ico Parisi and manufactured by Cassina, Italy 1962. 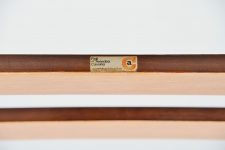 The table has a solid walnut wooden frame, composed by several slats and bars dowel connected very nicely, not screwed. 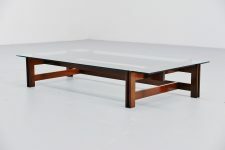 The table is in stunning original condition, hard to find piece by Ico Parisi and documented in his new book. 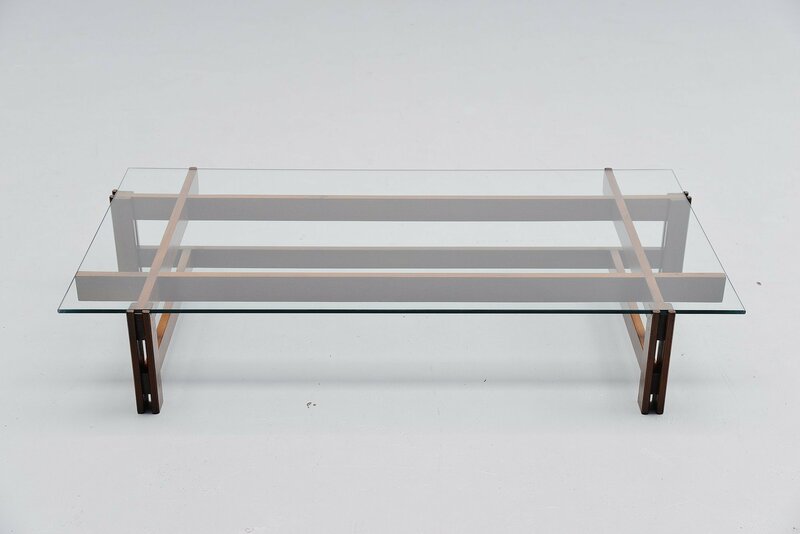 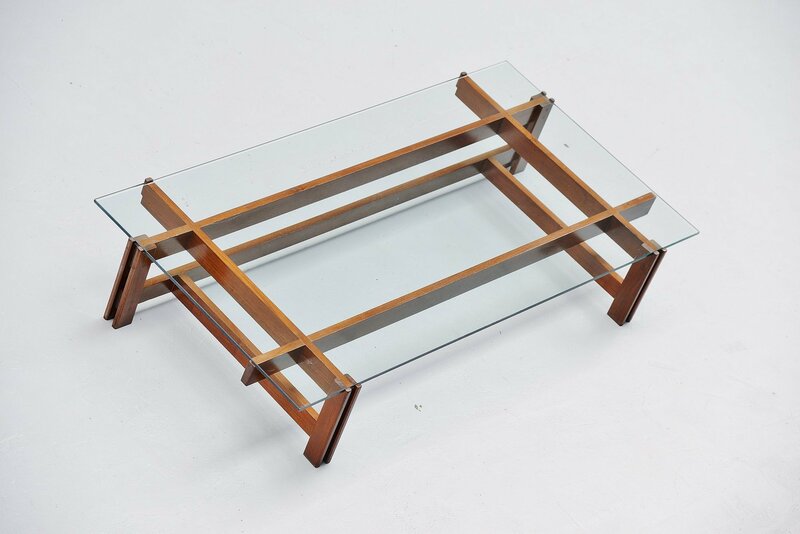 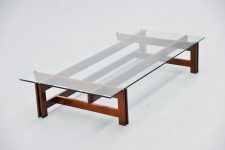 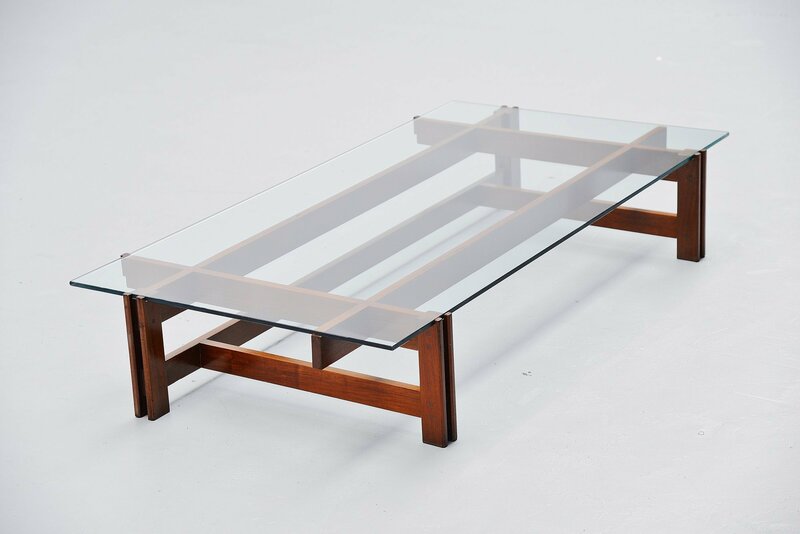 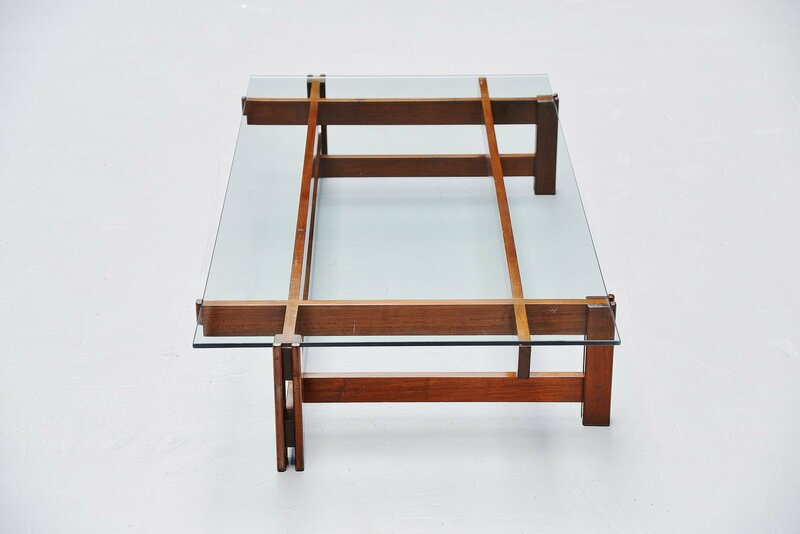 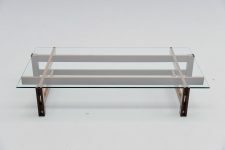 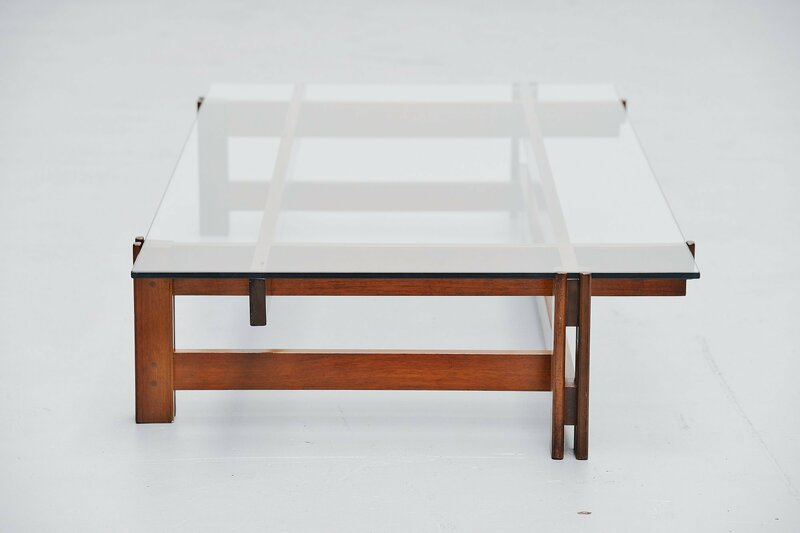 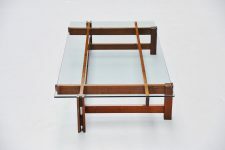 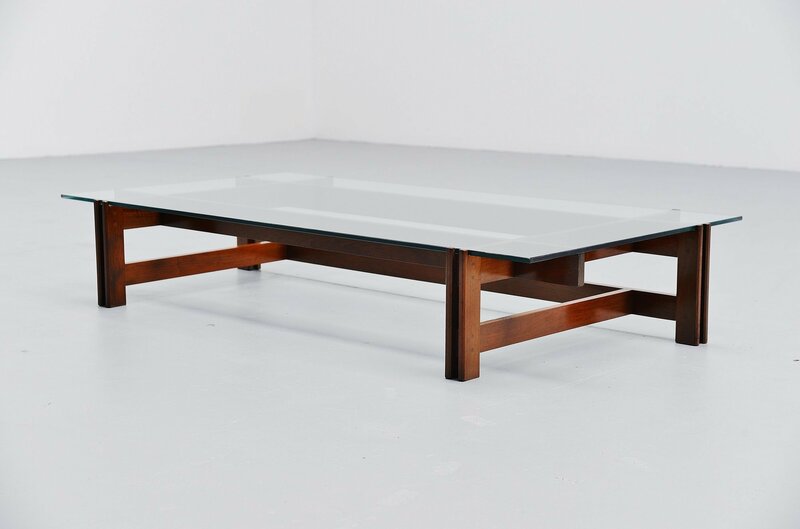 Very nice modernist coffee table in combination with glass and the visible wooden construction. 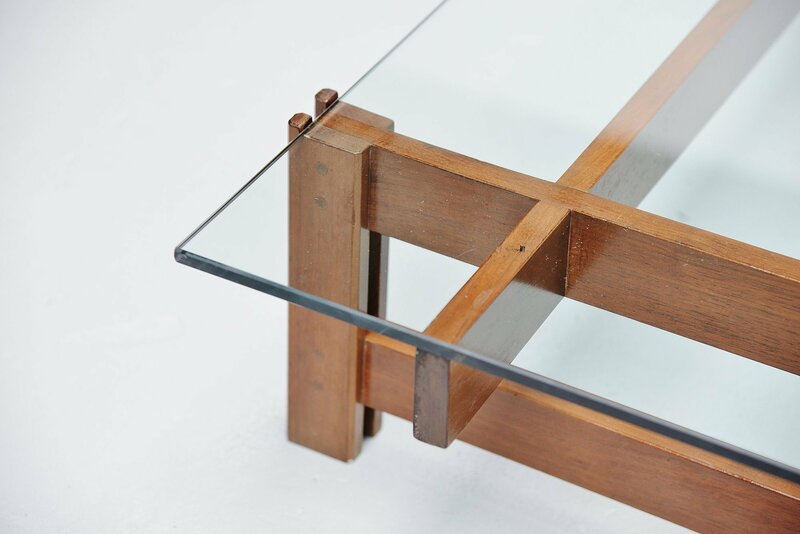 The table is marked with the Cassina sticker on the underside of the frame.